We are proud to announce this NEW Frederique Constant watch for sale at Classic 390. 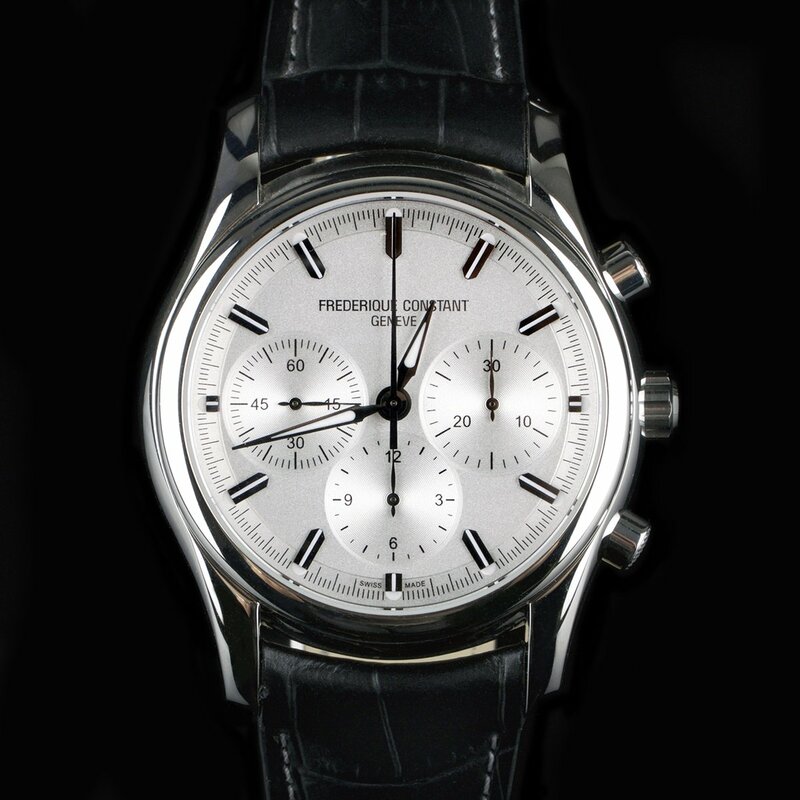 Frederique Constant, Peking To Paris, Swiss Made, 10 ATM, LTD No. 0131/1888, black leather strap, matte silver dial.